Newcastle is no longer the ‘steel city’ it once was with a new focus on the growing area of creative industries. Screen production scholar Associate Professor Susan Kerrigan has the data to prove it; having worked on an Australian Research Council funded project that confirms creative activity in the region is on the rise. What are the creative industries? Who works in them? How many people do the creative industries employ in the Hunter Region? They are the types of questions asked by Associate Professor Susan Kerrigan in the research project Creativity and Cultural Production in the Hunter Region. Associate Professor Kerrigan was part of the team of scholars, all also Creative Industries practitioners, who ran the project that saw 115 ‘creatives’ interviewed in the region as well as significant observation in the field of those industries. Associate Professor Kerrigan worked in close collaboration with team leader Phillip McIntyre and industry partners on the project with the aim of mapping the creative industries (CI) activities in the Hunter region. Associate Professor Kerrigan says this was achieved by simply going out to talk to people and observing what they do, using an applied ethnographic approach. “My colleagues and I really wanted to put the Hunter on the map because there are a lot of creative activities going on here. But because of Newcastle’s longstanding relationship with BHP it’s known as an industrial city and a pathway to the mining industry, it’s often forgotten in terms of it’s creative capacity,” Associate Professor Kerrigan said. The team conducted interviews across eleven CI sectors – Advertising and Design, Electronic Games and Interactive Content, Architecture, Fashion, Visual Arts, Performing Arts, Music, Publishing, Radio, Film and Television. Associate Professor Kerrigan’s background is in film-making and screen production, so it was natural that her part in the project centred around film work, producing ethnographic video interviews with selected study participants. The interviews make for interesting viewing with the creatives offering their opinions on the CI space, how their businesses operate and what’s working in the ever-changing technological environment. “People keep thinking it’s all about the digital in the creative industries. It’s actually a relationship between the traditional and the digital, because you can’t have one without the other. Unfortunately the digital age is very much about the collapse of the more traditional media business models. A lot of those are failing and new innovations are taking their place, so we looked at what happens when those kind of things collapse. It’s a dynamic and active space because of the digital disruption that is occurring,” Associate Professor Kerrigan noted. The main project outcome is the presentation of the research findings to policy makers, industry and academia to inform their practice and to increase their understanding of factors affecting creative output in an increasingly technological world. Dr Kerrigan said that the term ‘creative industries’ has become a buzz-word with many people trying to work out how they can get in on the action. “The 115 people we interviewed are another audience who are interested in our findings because they’re trying to work out what the creative industries are themselves. Our research illustrates the different types and forms of creative activity in these industries – everything from the traditional visual arts, design and music, to more modern forms such as interactive content creation and public relations,” Dr Kerrigan said. “More broadly, these findings will also inform undergraduate students and parents interested in what their kids might do if they were to study in the creative industries. They’re asking ‘What is it and can you make a living out of it?’ We found that it’s definitely a growing area and the largest part that is growing is in design,” she concluded. Following on from her ethnographic research in the Hunter, Associate Professor Kerrigan is working on a new project, Australian Cultural and Creative Activity: A Population and Hotspot Analysis,that aims to grasp the contemporary dynamics of cultural and creative activity in Australia. She says this is a comprehensive project that will advance the integration of quantitative and qualitative research strategies, painting a complete national picture, while also exploring the factors that are producing local and regional creative hotspots. It was Susan’s love of the visual medium of film that prompted her to complete her Bachelor of Arts in Communication Studies at the University of Newcastle. After that she worked for 13 years at ABC Television producing and directing across a variety of live and pre-packaged productions (including Wildside, GP, Big Sky, Play School) using multi-camera and single camera approaches. While she was on maternity leave from the ABC, Associate Professor Kerrigan sought a change of pace from Sydney life and so she came home and took on a position teaching screen writing for documentaries at the University of Newcastle. She soon found herself happily immersed in the world of academia. “I’m dyslexic so the reason why I worked in television is because I liked images, I didn’t like words very much. The only reason I considered applying for the academic job was because someone told me I could do a PhD where I could make a film and I thought ‘well I can do that’, but I couldn’t ever do a 100,000 word thesis,” Associate Professor Kerrigan said. Susan discovered her dyslexia later in life when her own daughter had trouble with spelling. She found that coloured Irlan lenses work well for her and have allowed her to achieve what she has today. “The Irlan lenses basically changed my life, reducing my headaches and increasing my comprehension of information. I’ve got a very good memory but it’s hard for me to read things. I couldn't do the job I do now without them,” she said. For her PhD she made a film called ‘Using Fort Scratchley’ which was funded by Newcastle City Council. It was at this time she started to explore what it was to be creative as a filmmaker. “That theoretical underpinning around creativity as a systemic process has continued throughout all my research which is how I ended up working on the Hunter Creative Industries project. We not only looked at how creative industries function from the outside, but we also looked at how practitioners work, how they are creative while keeping themselves financially afloat as they manage ‘love’ jobs with paying the bills,” Associate Professor Kerrigan said. She is a strong believer that education provides opportunities that you didn’t even know existed, particularly inside the creative industries, and has witnessed changes over the years which mean students exit their degree programs and go into jobs that were un-heard of when they started University. 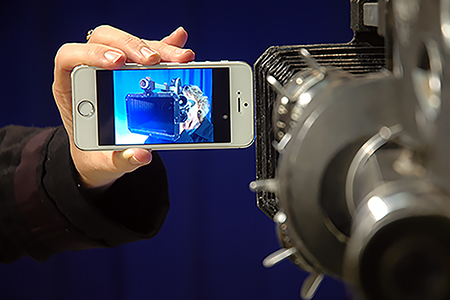 Dr Susan Kerrigan is a Screen Production Scholar who specialises in film-making as practice-led research. In 2017 a co-edited collection 'Screen Production Research:Creative Practice as a Mode of Enquiry' will be released, with Associate Professor Craig Batty, RMIT. Susan is a current recipient of an Arts Humanities Research Council (AHRC) Networking grant called Film-making Research Network, with Joanna Callaghan from University of Sussex, UK. Susan was on the ARC Linkage Grant entitled 'Creativity and Cultural Production: An Applied Ethnographic Study of New Entrepreneurial Systems in the Creative Industries' from 2014-2017. The research from this grant was included in the 2017 Pilot submission for Impact and Engagement, and it was given the highest ranking possible. In 2018, Susan will begin work with an ARC Linkage grant lead by QUT Prof Stuart Cunningham, focused at identifying and explaining 'creative hotspots' across the nation. She is a member of the Communication and Media Research (CAMR) group. During 2012/2013 Susan was President of the Australian Screen Production, Education and Research Association (ASPERA) and in 2014 Susan convened the annual ASPERA Conference 'Screen Explosion'. Susan is an ARC Reviewer, has peer-reviewed over 30 articles for international journals and has examined more than 12 PhDs and Masters (by research) for Screen Production, Screen writing and Television practices. In 2016 she became the Program Convenor for the Bachelor of Communication (Honours). In 2013 Susan led the external review for the Bachelor of Communication Program, her teaching and research is informed by her past professional practice, as a TV Producer/Director for the Australian Broadcasting Corporation, where she worked on the iconic children’s program ‘Play School’. Susan has taught, over the last decade, multiple Screen Production courses in the Media Production Major for the Bachelor of Communication program. These include: Screenwriting Documentary and Drama, Media Production Television (multi-camera), Music Video, Screen Drama, Video and the final year course Media Production Project (20 units). In 2010, Susan completed her PhD, on 'Creative Documentary Practice', she has presented this research at international conferences and has published internationally in the field of Creative Screen Practice. The creative work PhD investigated the Producer/Writer/Director's creative process for cross platform low budget documentary productions of two works titled 'Using Fort Scratchley' and 'Fort Scratchley a Living History' (www.fortscratchley.org). Susan has successfully supervised University Medalist's who received First Class Honours doing 'Creative Media Projects' where students can make a media project of their choice. 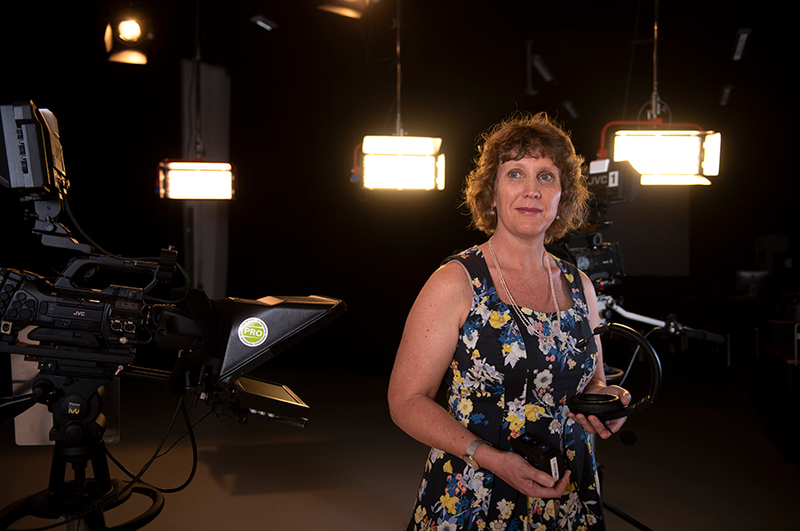 Susan's research is closely aligned with her past employment at ABC Television Sydney (1987-2003), where she worked across a variety of productions using multi-camera and single camera approaches. Susan produced and directed 20 episodes of Play School and 18 months of Mixy Breakfast Hostings. Other highlights include 40 hours of continuity credits on Australian Drama TV productions (including Wildside, GP, Big Sky) and 150 hours as a DA/PA on studio -based, live and pre-packaged television programming. Susan researches film-making practice and 'creative screen labour', by applying creativity theories to film making practice. Creativity is an idea, process or product that is recognised, by individuals or groups as being unique, novel or innovative (Csikszentmihalyi, 1999). The new knowledge created by this research helps to better explain the cultural and creative processes that practitioner's tacitly engage in during the making of screen/media works. This research is significant as it generates new knowledge and understandings which bridges the theory/practice nexus by aligning creative process theories (Bastick, 1982; Csikszentmihalyi, 1996; Wallas, 1976) and cultural industries approaches (Hesmondhalgh, 2007) to film, television and media production personnel. This creative practice research can be conducted through a self-reflective methodological approach or using more traditional qualitative methods to investigate media practitioner's creative processes and practices. References: Bastick, T. (1982), Intuition, how we think and act, Chichester; New York: Wiley. Csikszentmihalyi (1999), Implications of a Systems Perspective for the Study of Creativity., In R. Stenberg (Ed. ), Handbook of Creativity (pp. 313-335). Cambridge: Cambridge University Press. Hesmondhalgh D (2007) The Cultural Industries. 2nd edition. London and Los Angeles: SAGE. Wallas, G. (1976), Stages in the Creative Process, In A. Rothenberg, & Hausman, C., (Ed. ), The Creativity Question. Durham, N.C.: Duke University Press. Currently Susan is the Head of Discipline for Communication and previously she was the Communication Program Convenor from 2011-2012 and was the Deputy Program Convenor for 2013-2014. In 2013 Susan lead the External Review for the Communication Degree. Susan has collaborated with industry partners TechnicaCPT and Newcastle Now on an ARC Linkage Project entitled 'Creativity and Cultural Production in the Hunter'. Susan also has collaborated with Screen Hunter. External to UoN, Susan has lead research projects with Associate Professor Pieter Aquilia on Internationalising Screen Curriculum. As an active ASPERA member, Susan is collaborating with academics from QUT and RMIT on forthcoming publications about Screen Practice. 'Looking Back in Order to Look Forward:Re-Scripting and Re-Framing Screen Production Research' vol 9.2 published as a special issue in Studies in Australasian Cinema Sept 2015. This conference is for the 1902 FoR code Film, Television and Digital Media. There were 60 papers presented, a special issue of Studies in Australasian Cinema V9.2, 2015 and online Conference Proceedings were generated by participants. ASPERA represents Australian Universities offering qualifications at undergraduate and/or postgraduate levels, including bachelor, master and doctoral degrees in various screen production disciplines. It plays an active role in shaping quality education for those working or planning to work in production or research for the screen. It addresses issues of concern to the sector, and is concerned with the status of screen production courses within the education sector. It addresses the relationship between the screen production education sector of the industry and the wider Australian screen industries. It aims to lift the profile of the screen based industries within the wider economic, social and cultural development of Australia. ASPERA is the Peak Disciplinary Body for Screen Production Research and Education in Australia. As a Television Producer, Director and Writer I worked on 20 Episodes of Play School from 1999 till 2000. Following this I worked on a Children's morning program called 'Mixy Hosting' from 2001 till 2003 as a Producer/Director. This was a creative research project looking at the film 'Citizen Jai Li' and transnational Asian Cinema. This thesis described the making of the Australian television program 'Rage'. This was a Doctorate of Creative Arts on a feature length documentary 'Cutback' which was submitted with an Exegesis. 2015 Honours Arts International Australia Television using genre as a way to improve Australian screenwriting approaches. 'The Art of Editing' is a PhD by Artefact with an accompanying exegesis. The artefact is a DVD titled ‘The Art of Editing Australian Screen editors Discuss Creativity in Editing’ presents a high quality research film and the exegesis was titled ‘The ‘Art of Editing’: Creative Practice and Pedagogy’. This Honours Thesis examined the 3D production of natural history documentaries. Creative work PhD, a screen play and an exegesis. A PhD Creative project about Producing the feature film, Double Happiness Uranium submitted with an exegesis. This was a thesis on the field of live multi-camera television production. This was a six part radio series plus exegesis on the creative practice of radio production. A documentary script on the life of 'Xavier Herbert, My Own Road' and an exegesis were submitted for examination. This Master of Arts (Research) was a Creative Thesis where an exegesis and two television programs were submitted for examination. This Honours project looked at usability in website design and was a creative work project. Honours creative work project where a script 'Next in Line' was submitted with an exegesis for examination. 2008 Honours Other Fantasy Fiction: Writing a children’s fantasy television pilot script using narrative theories and plot conventions, archetypal characters, and relevant themes. This Honours creative work was a script and an exegesis. This Honours creative work was an exegesis and a screen play called 'Rising'. This Honours Creative work was submitted as an Exegesis and a short film called “Grandmother Minski Part 1: Journey to Babushka”. 2005 Honours Arts Building Reputation and consent: A case study of establishment public relations at the Newcastle region Maritime Museum 2004/2005. An honours Thesis looking at public relations practices in a community organisation. To create and deliver four vodcasts on the History of Maitland. The stories will be developed from existing historical narratives, that are held at the Maitland Library, Maitland Museum and Maitland Costumes and Textiles Museum. The four podcasts will be between 3-4 minutes long and, in their simplest form, will use narration and archival images as storytelling devices. In exploring these themes particular focus will be on how digital maps can be used to connect archival images, location spectific stories and potentially geo-locating archival film and photographic images to trigger story activation/listening. This will be undertaken as a practice-led research project. Purpose:UoN’s Bachelor of Communication is delivered off-shore in Singapore. This pilot study explores the delivery of this media program in an eastern and western tertiary sector (Yang, 2003). Methodology: Exploring the affects of globalization on tertiary education, three methods have been used, drawing on students and graduates from both Callaghan and Singapore. Findings:Globalised economies have impacted on media practices and social literacies in tertiary education. Further research on students and graduates should help us better understand the point of separation between global and local cultures, and economies.